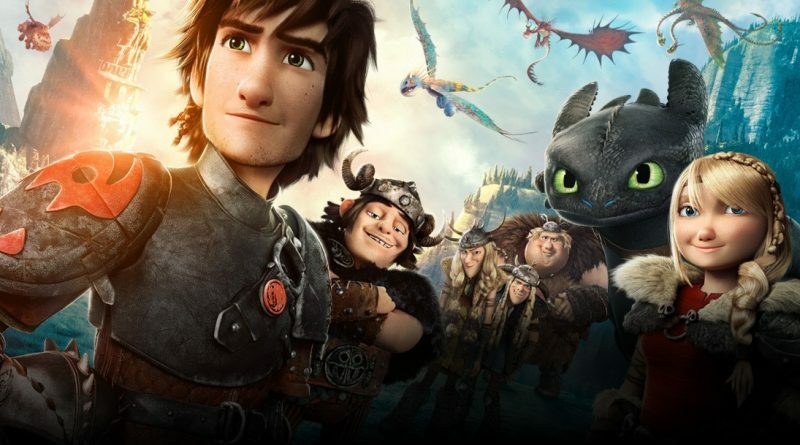 But things are different when it comes to Dreamworks Animation and their How to Train Your Dragon film series. On Feb. 22, the third and final film in the series was released and it closed out the series that has gone on for more than a decade. The first two films were released in 2010 and 2014. The first was released to a 98 percent Rotten Tomatoes score while the second was released to a 92 percent score. The Hidden World holds the lowest score of the three, but still a solid 91 percent. One of the reasons that the film and the entire series is so successful is that at its foundation, it’s what a coming of age story should be. Most coming of age films are resolved in just one film, but not this one. Sure, the series is about dragons but it’s more about the growth and development of one boy. In the series, Jay Baruchel plays Hiccup. He’s 15 years old at the start of the first film and by the end of this one he’s 21. You can’t tell his story in just one film so it’s less of a trilogy and more of one continuous development. Throughout the series he finds his courage, he deals with loss, and he becomes a leader. The final film closes out his story from a young boy into a chief and leaves viewers wishing that there was more. One of the strongest points of the film is the music. John Powell returned to score the third film after being nominated for an Oscar in 2011 for his work on the first. Powell’s really makes you believe that you’re in the movie. The film takes place in the viking world and that’s exactly the type of tone that the music offers. The score features instruments that you would expect to find in that age and really makes the film feel more like an epic. Powell also does a great job bouncing between happy upbeat music and emotional tunes. Another high point of the film is the graphics. The graphics of How to Train Your Dragon has come a really long way since it started in 2010. If you looked at the first and third films side by side you wouldn’t even be able to tell that they were by the same people based on graphics alone. The film features incredibly fluent animations and vibrant colors that make the action pop out and keep your eyes glued to the screen. As for voice acting, the film featured a very talented cast. In addition to Jay Baruchel as the leading man, Jonah Hill, Gerald Butler, Kit Harrington, and Kristen Wiig are some big names that you probably recognized while watching. If you are a fan of the series then it would be a no-brainer to see this one. But even if you aren’t a fan, it’s something that you should look into if you like animated films in general. It has a little bit of everything that makes a great film and will probably end up being one of the best animated films of 2019. The film wasn’t as great as the first because there wasn’t as much world building but it’s much better than what you should expect from a sequel. Personally, the film deserves a better grade than what Rotten Tomatoes is giving it, a 95 percent seems more like a reasonable score.